Prof. Daniel Cherubin. The only Australian to be graded to 2nd degree Black Belt by the legendary Brazilian Jiu Jitsu Master Ricardo De la Riva (6th degree Black Belt, Copa Cobana, Brazil). Daniel started learning the art at a young age, around thirteen spending most of his time in the academy training and learning BJJ. Jiu Jitsu became an every day part of his life, with his competitive nature he quickly moved towards Brazilian Jiu Jitsu competition, starting at age 15 Daniel decided to test his Jiu Jitsu skills against other opponents on the local circuit. 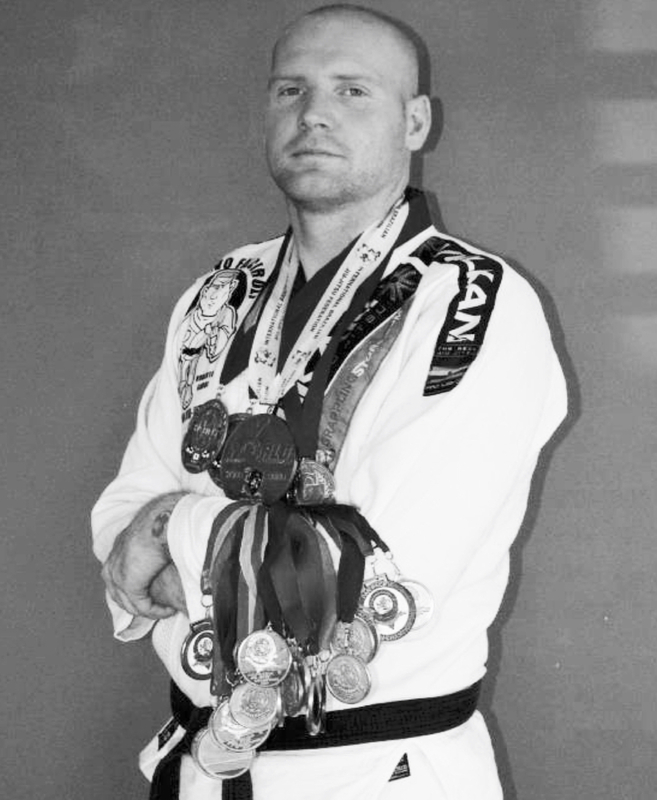 Fighting in as many competitions as possible, sometimes fighting much larger fighters outside his age and weight division, Daniel became the youngest Blue Belt in Australia at age 16 and in 1998 was awarded most outstanding fighter for winning both the Victorian and Australian titles. As the youngest competitor in Australia Daniel would also travel to Brazil in 2000 as a Blue Belt to compete in the World Jiu Jitsu Championships (Rio de Janeiro). Daniel placed third over all, winning his first first three matches by submission. In the semi-final he faced Roger Gracie, losing the match on points. Despite this, Daniel became the first Australian to win a medal in Brazil showing the rest of the country that it could be done. Competition continued at Purple Belt in Australia, most memorably a Pan Pacific Championship where he defeated Elvis Sinosic, Anthony Perosh and David Kristic all on the same day. In this particular competition Daniel weighed in at around 85kg and fought in the open division, the only entrant under 100kg. Daniel had his work cut out for him. After a long seven year absence from competitive Jiu Jitsu Daniel decided to make a return and competed now at Brown Belt at the Australian Titles where he placed 1st in his weight and open weight divisions for GI and NO GI, taking home 5 Gold Medals and the Most Technical Fighter award, stamping himself once more as a force to be reckoned with on the Australian Competitive Jiu Jitsu scene. On the 27/11/2008 Daniel was awarded his Black Belt and since then Daniel has won the Victorian Championships twice, placed 2nd in the Australian Cup and placed 2nd in the Pan Pacific Championships. 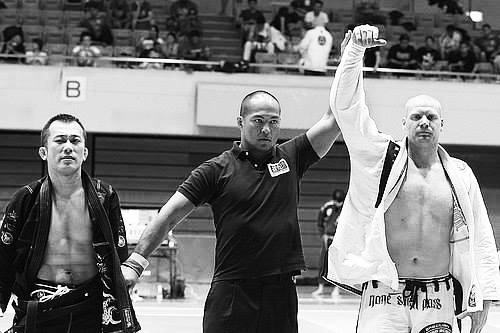 Later that year Daniel flew to Japan to fulfill a life long dream of competing in the country where Jiu Jitsu was born, entering the Rickson Gracie Cup in Tokyo where he placed 1st in his weight division and 3rd in the open division. “We are the only academy teaching 100% Jiu Jitsu in Geelong and that is where our strength lies”. Daniel continues to train and compete at local and International level and sees himself doing so for some time to come. In November 2010 Daniel opened his own Jiu Jitsu Academy. In 2013 Daniel traveled back to Brazil to train under his Master Ricardo De la Riva (Jiu Jitsu master famous for the creation of the De la Riva guard). Daniel was graded to the rank of 1st degree black belt and a few years later the Master travelled to Australia presenting Prof. Cherubin with his 2nd degree Black Belt making Prof. Cherubin the only person in Australia to be graded to this rank by the great master. Daniel is dedicated to teaching Jiu Jitsu in the safest and most comfortable environment possible and will help to build your strength, confidence, flexibility and fitness. Our goal is for you to achieve.